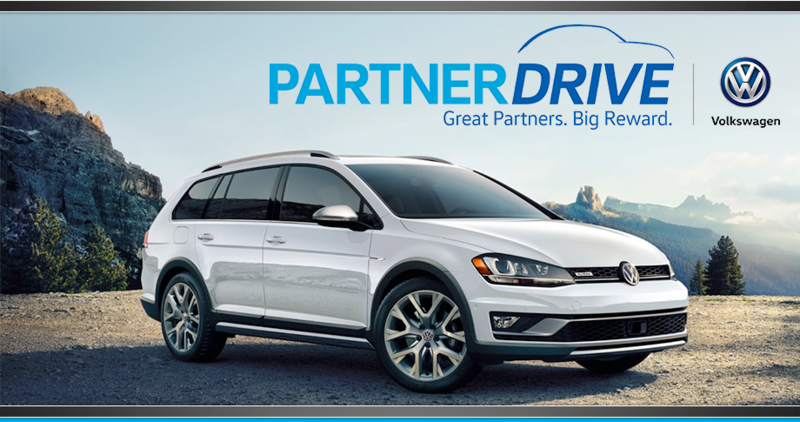 We value our partners, and to show how highly we regard this relationship, we're happy to offer the Volkswagen Partner Program. Qualified participants can take advantage of incredible savings and incentives on new Volkswagen models. We want to get you behind the wheel of a fantastic new VW at a great price. Contact our Volkswagen dealership in Raynham, MA, for details before driving home a new VW vehicle at an attractive price. The incentives we offer our participating partners also extend to household members as well. You can receive up to $500 off the dealer invoice price on a new Volkswagen. Plus, this offer can be combined with additional incentives to make for incredible savings on a new VW of your choice! Simply print out your Partner Program Certificate, which must be redeemed in 30 days from the day it is printed. Designed to provide our partners with the best deal on the purchase or lease of a new VW, this fantastic offer makes driving home in a new Jetta, Passat or Golf more irresistible than ever. Come by Mastria Volkswagen to take advantage of this incredible offer! Speak with our VW finance team to learn more about the Volkswagen Partner Program, today! *As with any new vehicle purchase, you are responsible for all taxes, title, licensing, documentary, emission, and other fees. **Volkswagen Credit will not finance any vehicles to be used for delivery services. ***The Golf R model is excluded from the Program. Other models may be periodically excluded and can be verified by your local VW dealer or Program HQ. Additionally, Audi vehicles are not included in this Offer.